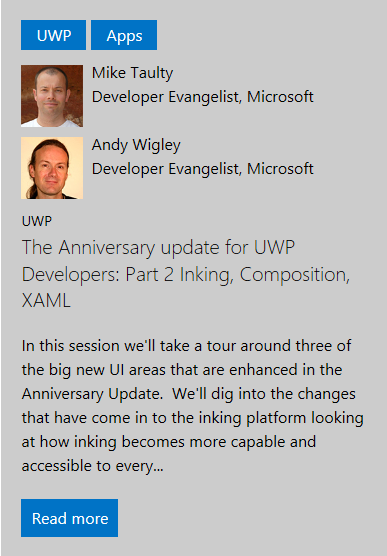 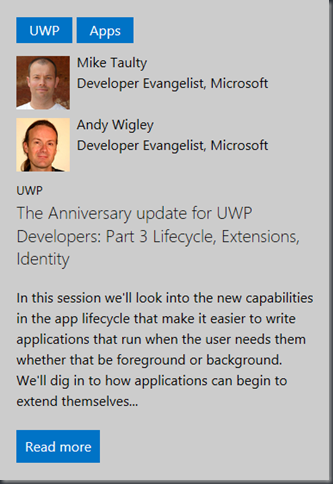 At this year’s Future Decoded event in a couple of weeks I will be speaking with the half-man-half-sofware-legend that is Andy Wigley on the topics of developing for Windows 10 and the UWP in the Anniversary Edition (1607) of Windows. We’ll be looking at lots of areas that are new/changed in Anniversary Edition over and above what was present in earlier versions. 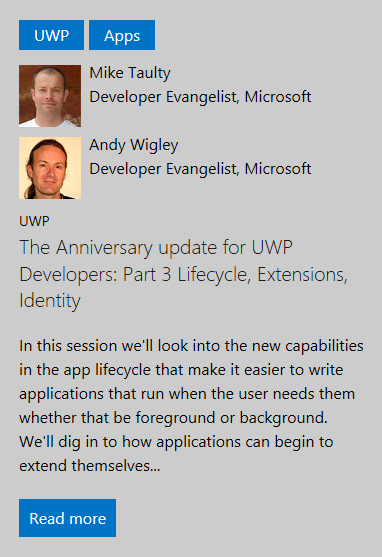 This adds up to 3 afternoon breakout sessions making for 3 hours of UWP and Windows 10 development at Future Decoded.